We talk Texan. When "ya'll are fixin' to do something”, we know what it means, especially when it involves shopping for insurance. That’s our specialty. Whether you are in the process of purchasing a home or car, or even analyzing your life insurance needs, we have the expertise in Homeowners, Auto, Business, Life, Umbrella and other insurance types. We don’t believe one size fits all. Since our goal is to match you with your unique risk tolerance and need for coverage, we'll help you understand what you pay for and why you're paying for it. When it comes to the confusing topic of insurance in the Lone Star State, we want you to feel anything but alone. We strive to make the insurance process as convenient as possible for you. That's why we also talk technology. Whether it's a text, email or other form of messaging, we know sometimes a little communication goes a long way. We make this type of communication available to you when you don't have the time to talk on the phone or in-person. 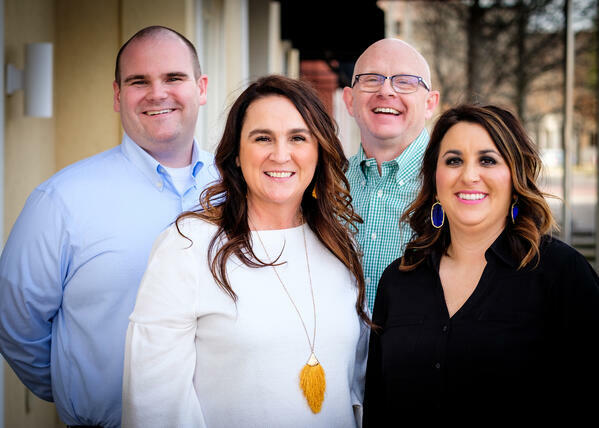 When y’all are fixin’ to review your insurance needs, we are ready and rarin’ to go! The people who make up Insurance For Texans are as varied as you are. Get to know more about us here, but know that we're here to relate to you. Are you in need of new coverage or a consultation? Use our online form to get started! There’s a saying . . . “If you don’t like the weather in Texas, wait around for an hour, it will change.” There is no time that saying rings truer than our Texas spring and fall. Sometimes these seasons bring about weather that makes our home feel like the only guard separating us from harm and safety. Whether it’s hail, fire, flood or any other potential damage, we want you to feel secure about your dwelling. You must feel secure in your home coverage. Insurance For Texans can help make sense of the variety of options when choosing limits, deductibles and types of coverage. By helping you understand your home insurance, we can help protect the structure that protects you. As Texas roads teem with the ever-increasing population, it’s tougher to find an open road. As you commute along with the crowd, one thing is for certain; you depend on your vehicle. What happens when that vehicle is out of commission, by collision or catastrophe? Your coverage needs to be dependable as well. Insurance for Texans will help you navigate the complex on-ramps, highways and byways of auto coverage. We’ll make certain your options are as comfortable as the worn leather in your vehicle. Your road is now open. Let us help you with a quote! Healthcare laws change about as often as the weather these days. Every time you think you have your health insurance figured out, a politician opens their mouth. The great news for you is that we stay up to date with all the latest changes and have some nifty options available that can make your life better. And if you own a business, we've got options that can make the lives of your employees better too. So why don't you let us find a plan that works exactly for you? There was a day when news used to gallop around Texas neighborhoods via the front porch network. Where else could you get knee deep in your neighbor’s business in order to lend a hand? We know your role as a small business owner can make you feel isolated, needing protection when facing certain challenges in an uncertain marketplace. You are not alone. Hanging out on the front porch and shooting the breeze may be a rarity these days, but consider ours a welcome place. We’d like to mind your business when it comes to protecting it with the best insurance. Pull up a chair. Tell us what you need. We’re listening. Our lives are more than years. We can measure them by the relationships we hold dear, the people we influence and the person we become. Your life insurance is also more than a number. It’s more than your beneficiaries. It’s more than a premium. It is a testament to a life that chooses to keep giving beyond your years. We know life insurance is a very personal subject. It’s our goal to provide you with the life insurance solution that meets the needs of your family today and tomorrow. We’ll make certain your life insurance matches your goals for the legacy you want to leave behind. View our latest resources to help you with your insurance. Do you have questions about how Insurance For Texans can help you? Send us an email, call, or text us and we’ll get in touch shortly.